So we have a dining table. Finally! I love it. We got an incredible deal on this farm-inspired table with simple lines and gorgeous wood grain, and we're both really pleased with it. Even though we painstakingly measured it in the room before our purchase, the size still surprised me when it arrived. We rearranged our dining room to accomodate the hulking piece of wood, and I actually like this new scenario better. The room probably wants a 6-seater instead of an 8, but I want to have this table for a loooong time, and not have to pull up a card table the first time I have a dinner party. So eight seats it is. Speaking of seats... as you'll notice in the photo, we don't have real chairs yet. (Big thanks to my mom for the card table and chairs she sent us, though!) Here's the thing: I'm not a fan of the matchy-matchy chairs and table look. We had to wait two months for the table to get here, and I knew I'd need to see it in place before I knew what kind of chair I'd want. 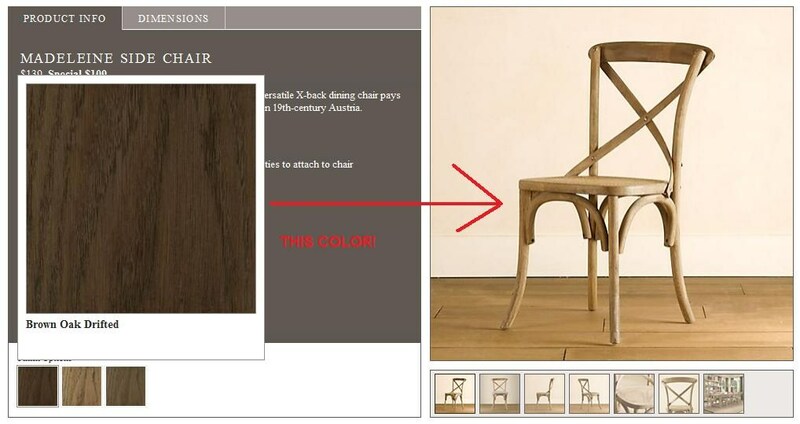 Sorry for the blurriness - Restoration Hardware doesn't have any pictures of the chair in the color we want, so this was the best I could do. (Is anyone else so over walking into a RH store and falling asleep at all of the gray/beige, by the way? Move on already!) Anyway, we went into the store thinking we'd like the medium tone, but the darkest one actually makes the lighter variations in our table pop, so that's that. 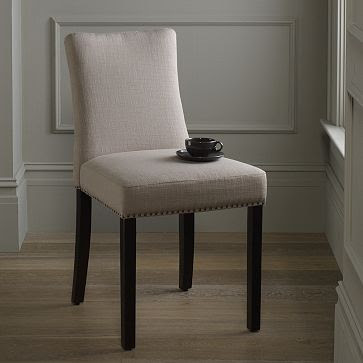 The RH chairs are surprisingly well-priced (as in, cheaper than the Pier 1 equivalent), but RH gets on my nerves and the chairs won't ship until September, which further annoys me. The major thing I like about these chairs are that the airy back lets our table breathe, which I think we need since it's a small room with a lot of heavy wood in it. I like the casual sensibility of the bistro chair, which is a different feel to me than the farm table, and I think that interplay is interesting. I also like chairs of this style, but I have two concerns: first, their solidity compared to the airiness of the bistro chairs, and the nightmare of cleaning stains over time. I might as well give a shoutout to my all-time favorite dining chair here, which sadly I have zero chance of owning due to their rather steep pricepoint. But oh! The gorgeousness! I know, I'm all over the place style-wise. Since we're doing a little dining room fantasy show anyway, is this a good time to mention that I'm absolutely obsessed with wine barrel chandeliers? 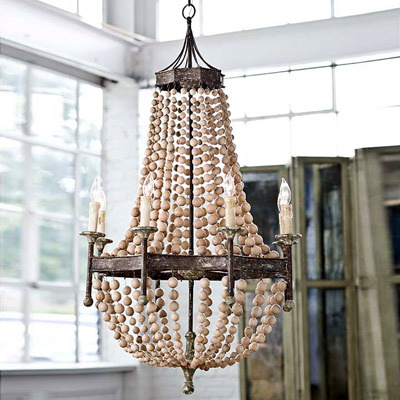 This burlap chandelier is very much my style, and I think it'd look fantastic in our dining room. 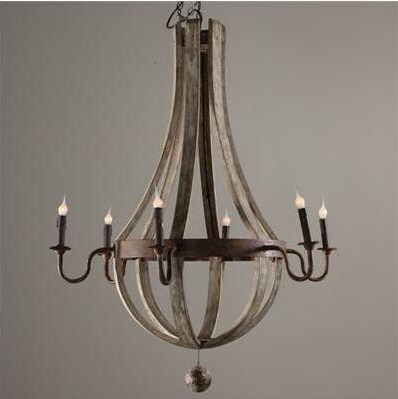 It's definitely a warmer look than the wine barrel chandelier, which is a good thing for that room. The size is also a little more manageable. And in the crucial Real Life category: the price makes me very happy. I think I'm doing wicker pendant lighting in the kitchen, though, and I wonder if that would be texture overload. Of course, I could avoid the problem of burlap/wicker competition by simply following my lust for wooden bead chandeliers. So stunning. But then we're talking high dollar again... sigh. I should also mention that all the lighting in our house needs to be redone, which is a huge investment given that everyone we've brought in to take a look thinks that the '70s recessed lighting was done so badly that most of our ceilings will have to be refinished if we make any changes. Lovely! We detest the lighting in here, though, so I know it'd be worth it. Tell me: any chair or lighting inspiration in your world these days? I'd love to hear your thoughts! Update: In comments Ainsley brings up something I should have mentioned in my post. I'm only looking to buy six of the above chairs, and I'll find two different chairs for the ends of the table over time - something more solid. Loving your input so far! That table is amazing! Totally worth the wait! There is a great furniture shop out by Dulles that you can get restoration hardware/pottery barn/crate and barrel furniture built for a fraction of the retail prices. They have catelog upon catelog to browse over. It's called urban retreat, my neighbor has gotten tons of pieces from them and we are about to do the same. Good luck, can't wait to see the finished product! i've subscribed to your blog for a while now but i don't think i've ever commented. for your chairs, i really like the bistro chair, but i wonder if you might like to mix it up even more and get six bistro chairs and two of the west elm chairs for the heads (especially if the dark legs of the west elm chairs is similar to the dark finish of the bistro chairs). the bistro chairs seem almost delicate next to the solidness of your table and the west elm chairs might balance out the two. 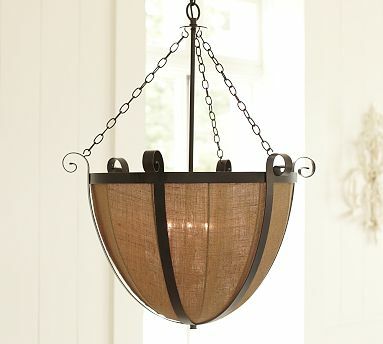 i too have the wine barrel and wood bead chandeliers, along with my favourite wegner whishbone chair, squirreled away in my dream house fantasy; it has been nice to read about how you are decorating and living in your dream house! this is exactly what i'm dealing with now- we need new chairs and a chandelier. except i have no idea what i want and am having the HARDEST time making a decision. im tempted to just run to ikea and grab something to get rid of the old stuff. anyway- your table is gorgeous! and i could write an entire post on RH- to their oversized furniture (have you seen their coffee tables the size of an entire living room??) and their ridiculous shipping time. but somehow, the prices are very reasonable for the quality. Gorgeous table Maggie! I'm drooling over those West Elm chairs but I think the RH chairs would look beautiful with your table as well. Your eye for design is certainly better than mine so please don't consider my opinion! I am shocked to hear RH has a chair more affordable than one you can find at Pier One. Way to go RH! And I agree - I'm over their blah, washed out grays. Bring back some variety and color, please! Love the table! I adore the RH chairs as well sinc eyou need something airy with the size of the room, with the idea of the West Elm for head and table seting. Now, you know I have trouble buying anything new, or gasp, full price, so my suggestion is Craiglist. Have you browsed? I'm insanely jealous of the potential finds on Craigslist in big cities. Oh never mind- it actually did my name instead of anon. Wonders never cease. 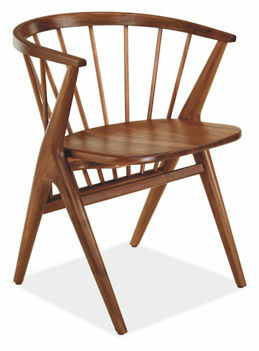 I really like the bentwood RH chair - the x back is great. I second the recommendation for CL - you can often find a complete set for a fraction of what they would be new. I got my set of 6 fruitwood chairs for $60! Yes, it is a total knockoff. No, I do not care. Room and Board sells them for four! times! the price, so Overstock it is. Just daydreaming about drinking my coffee in one makes me happy. I swear, I posted on this comment yesterday, but apparently the internet ate my comment. Sigh. My new comment is on Cate's link to the Wishbone knock-offs. Have you ever bought anything from Overstock? What is the quality like? I'm sure it varies based on the brand, but overall, is it good? @S@sha -- I've never bought furniture from Overstock -- only things like refurbed Dysons (half the price and works wonderfully) and towels for large family gatherings. But I have several friends who swear by the big O. The Wishbone knockoffs are sold at different places, but at least with Overstock, returns are easy, and I've never had problems with the company itself. I'd rather deal with them than with some random furniture place that Google found for me.